Now that the weather is getting cold, I think I am ready to start making hot coffee drinks. I wanted to start my first hot coffee drink with my favorite drink that I always order from Starbucks, the Skinny Vanilla Latte. I love this drink!!! 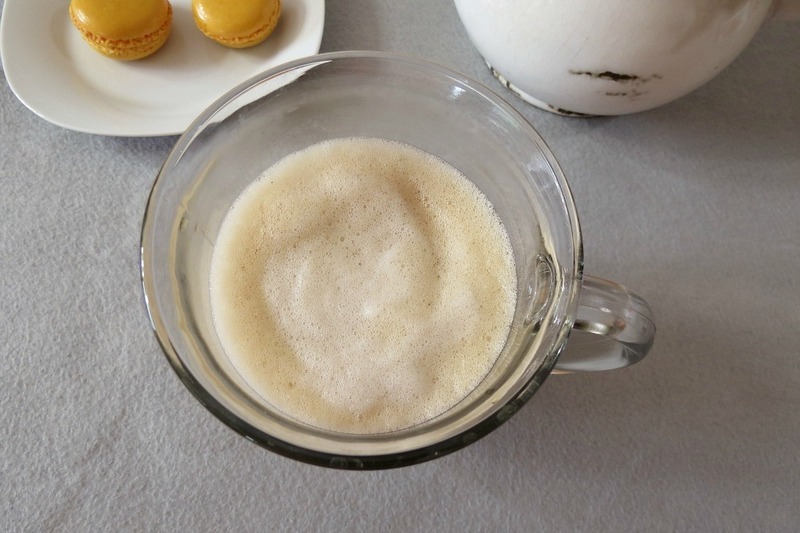 This drink is pretty easy to make and to be honest I like it better than Starbucks, It has more of a vanilla flavor and I can make it as sweet as I like. The key to this drink is whipping the milk together. Now I do have a milk frother, but a lot of people don’t, so I did this the old fashion way by adding non-fat milk to a sauce pan along with vanilla extract and sugar and whisk until the milk is warm and frothy. This was the first time I frothed milk on the stove and it turned out pretty good!!! I’m impressed!! 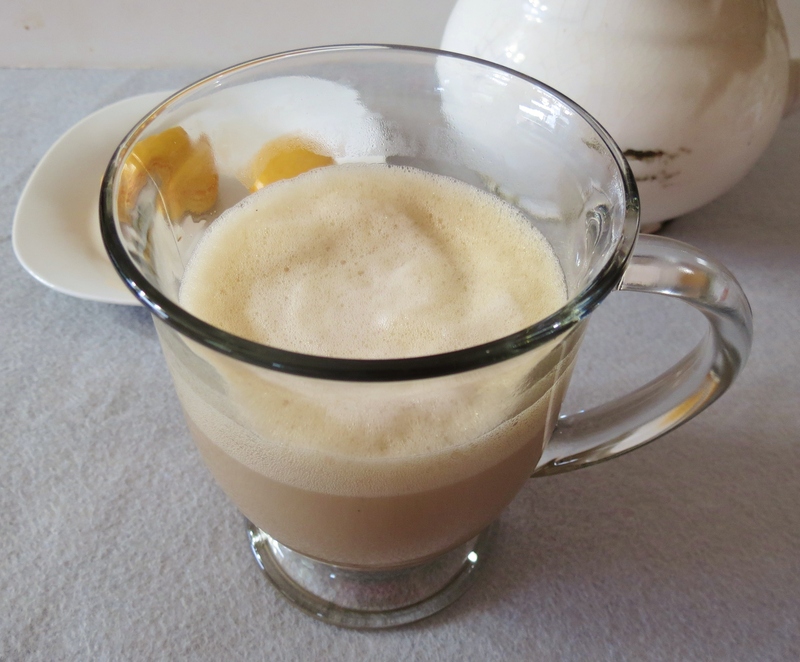 A light, frothy, warm vanilla flavored coffee drink. In a small sauce pan add milk, stevia and vanilla extract. Over low heat, whisk milk constantly at a fast speed for froth, for approx 2 minutes or until milk is warm and froth. This is going to be a short post today! It’s my Husbands and my wedding anniversary and I want to create a dessert to go with our dinner before he comes home from work. I am just not sure what to make? Have a great week and stay warm!! Time for to crank the heat up! Vanilla Lattes are my favorite too at starbucks, I always get them iced, but you are right, it is starting to get chilly. I am going to go make this right now. I like the iced drinks, but with chilly weather here, I have been in a comfort mode and warm coffee is a part of that! You know me and my coffee!! I love how simple this is! Trying today. Looks great! 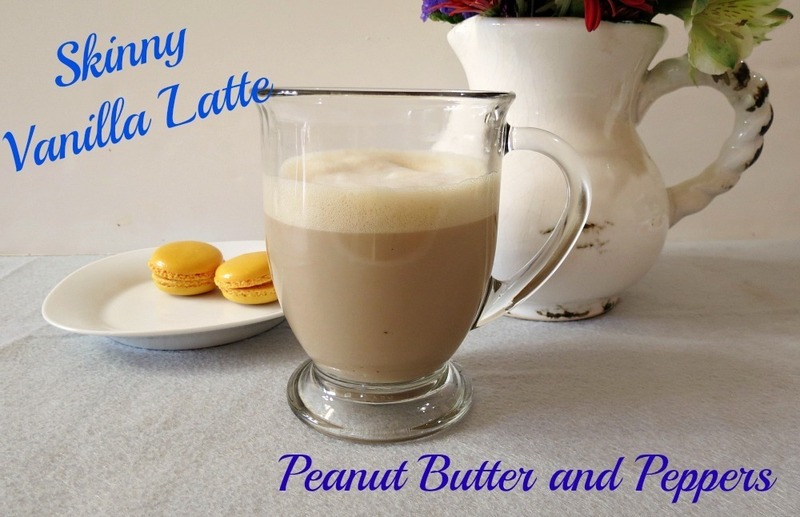 I know, it has been rainy here the past few days…makes me want to stay home and make one of these yummy vanilla lattes and curl up with a blanket and movie! That sounds wonderful!! I think we shouldn’t have to work on Friday’s and just do that!!! 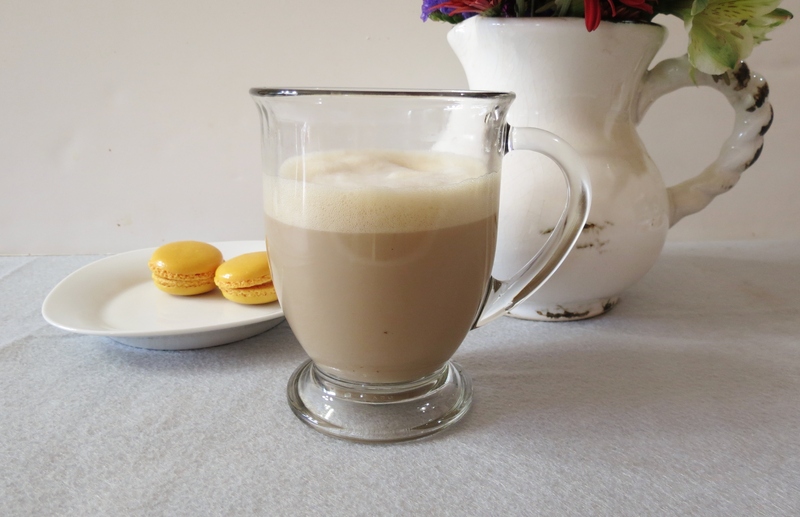 I just had a skinny vanilla latte at Starbucks today (paid $3.25 of course) but who knew I could actually make one at home for soooo much cheaper?! $3.25 is pretty cheap! My drink is closer to $4.00!! It’s crazy how there pricing is going up! Ugh!! I LOVE my milk frother! I need to bust it out so I can make this! Happy anniversary!! And you seriously need to open your own version of Starbucks, you will take over every street corner from them!! Hi Jennifer, I’m loving your site! I tried your vanilla latte and it is delish! I have been dying to make one but tried and failed. So happy to be able to make it at home now. So…you do know you’re my go-to coffee recipe lady 🙂 I love this! Yum! Love vanilla lattes. Thanks so much for linking up to Creative Thursday. Can’t wait to see what you share this week! Have a wonderful week. I never realized that I make this almost all the time. 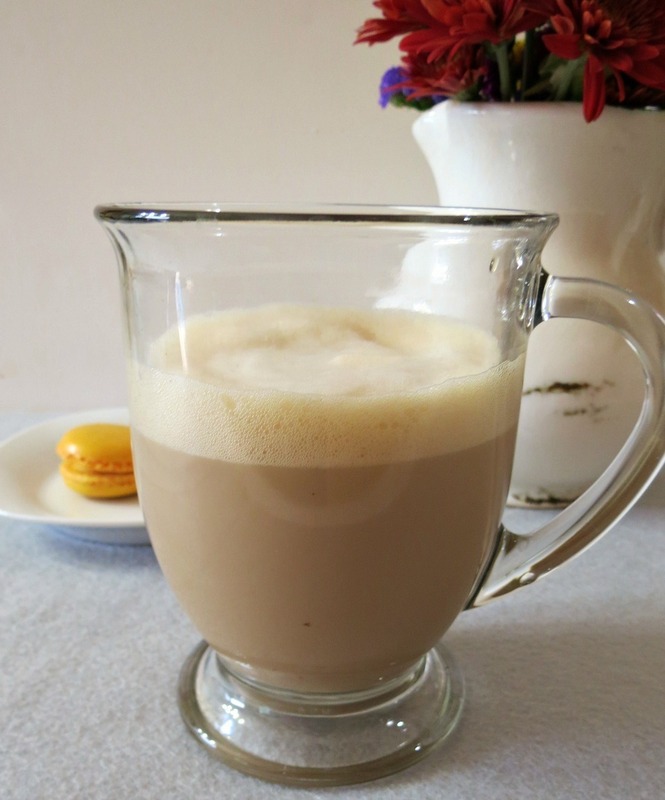 With my coffee I always use French vanilla flavored stevia with hot water, 2% milk or almond milk. Nice recipe!